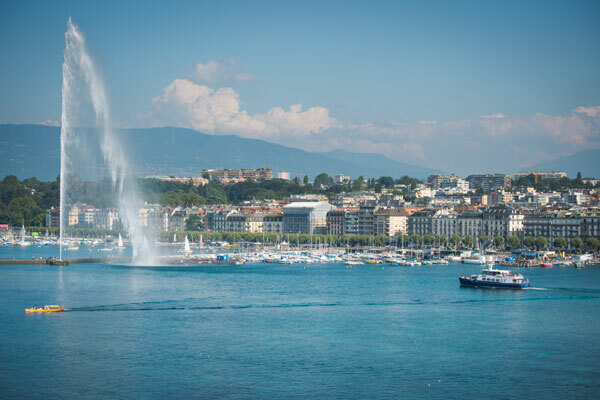 Geneva registered a record 3.2 million overnight stays in 2018, up 5.8 per cent over compared to figures recorded in 2017. After its historic performance in 2017, which saw the destination exceed the three million overnight stays mark for the first time since 1934, tourism in Geneva is thriving. 2018 sets a new record with a total of 3,232,871 overnight stays recorded. Geneva also outperformed the Swiss average for overnight stays (up 3.8 per cent) with a 5.8 per cent increase. The city is the third most popular Swiss tourist destination for foreigners (i.e. excluding Swiss visitors), with a 12.3 per cent market share, behind Zurich (20.5 per cent) and the Bern region (14.4 per cent). Top of the headcount of most frequent visitors to Geneva were the Swiss, who made a notable comeback with a total of 625,961 arrivals (up 14.5 per cent). The US came in second place with 284,713 tourists to the destination (up 3.3 per cent), ahead of the UK with 263,054 (up 2.9 per cent). France, with 260,828 visitors (up 5.5 per cent), and the Gulf region, with 252,885 (up 1.5 per cent), were close behind. With a surge of 22.6 per cent, India showed the highest increase in visitor numbers with 8,841 more tourists compared to the previous year. In second place was Switzerland (up 14.5 per cent), followed by Spain (up 13.2 per cent) and China (up 7.8 per cent). The high potential South-East Asian market also showed significant growth (up 6.7 per cent). Several factors go some way to explaining this success. Geneva offers a fantastic visitor experience that includes incredible hotels, innovative tourism services and easy access thanks to superb air, rail and bus connections. But its location also plays a major role in its allure.